25 years "Elder Scrolls" means 25 years of exploration and adventure. 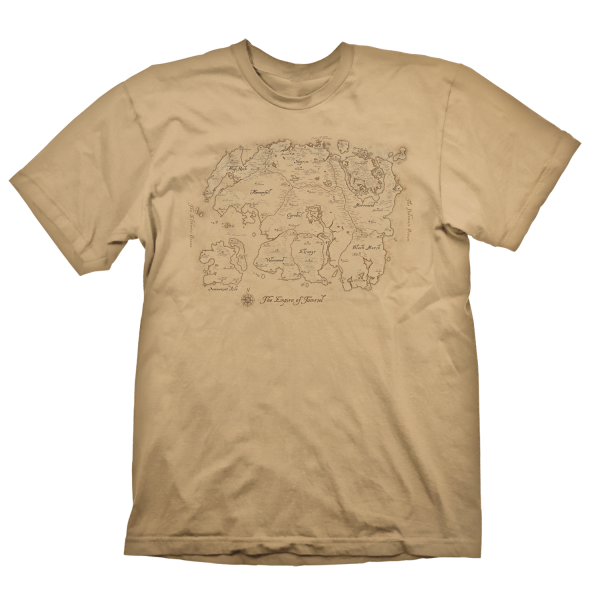 The shirt with the map of the Elder Scrolls world always reminds you of the places you've been and the places you still have to explore. The backside features a small "25th Anniversary" neckprint. High quality silk screen print, 100% pre-shrunk cotton for a long lasting fit, even after being washed several times. Manufactured by Gaya Entertainment.